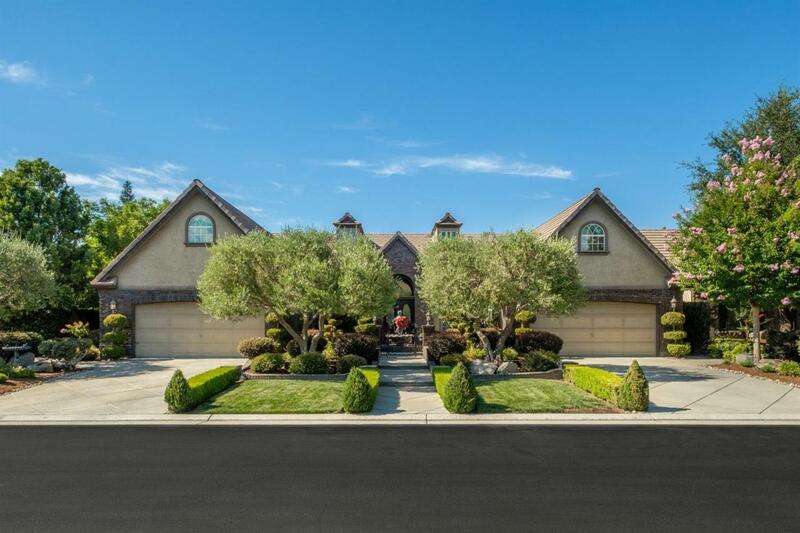 Opulent, exquisite, meticulous describes this Tuscan home in gated Country Club at the Fort. Professionally decorated exterior & interior w/ more than $130,000 in custom features/upgrades: Stunning hardwoods, Berber, & designer tile floors. Designer faux painted walls add ambiance, hand painted accents in kitchen, granite counters, transom windows, Tuscan light fixtures, glass french doors, Italian silk drapes, crown molding, plantation shutters & custom lighting are featured throughout home. Inviting kitchen w/gas stove, dual ovens, custom glass front laminated cabinets, and large island. Gas fireplaces located in living room, family room & master bedroom/ bathroom. Two bathrooms features oversized mirrors w/ custom lighting & upgraded plumbing fixtures. The elegant master retreat features see thru fireplace, & Jacuzzi tub. Two bathrooms have access to backyard. Stunning Fornaro Landscape, pool/waterfall/spa & Pergola invite you to outdoor living. See attached list of upgrades. Listing provided courtesy of Connie Bowser of London Properties, Ltd..